All India Dairy Business Directory , 7th Exclusive Editions Releasing Soon! It's Time to Update your Business ListingsJust Fill This form to Update this Listings Click hereWe Will Update Your Listings / verify / Insert New Record in Our Database and Print your updated business details in upcoming Business Directory 7th Exclusive Edition.Update Your Company / Factory / branch Office Address, Phone , Fax, Mobile, Website, Email, WhatsApp, Blog, Social Media Details, Products Name, Brand, etc.Business Listing is free. M/s : DAKSH INTERNATIONAL, Current A/c No: 93463070001247, IFSC Code: SYNB0009346 Branch Code: 9346, Our Bank: Syndicate Bank,Rajender Nagar, Sahibabad, Ghaziabad, Uttar Pradesh. Important After Making NEFT Payment WhatsApp Detail to +91-9971090600 with Your Email Address.Or Can send mail to allindiadairy@gmail.comWe Will Send your Order file after payment verification. 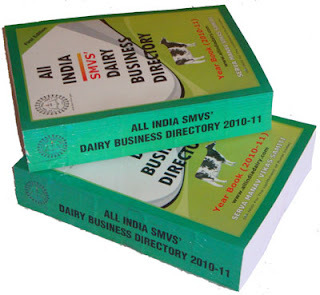 Buy e-DirectoryAll India Dairy Business Directory (6th Edition) e-Directory updated till March 2016.